BestFoodKL.com ventured outside of the capital city... and went to The Sumbs Cafe located in Shah Alam. The main aim is to try the #SukaSucre dessert by Datuk Fazley Yaakob (that's a different post!) 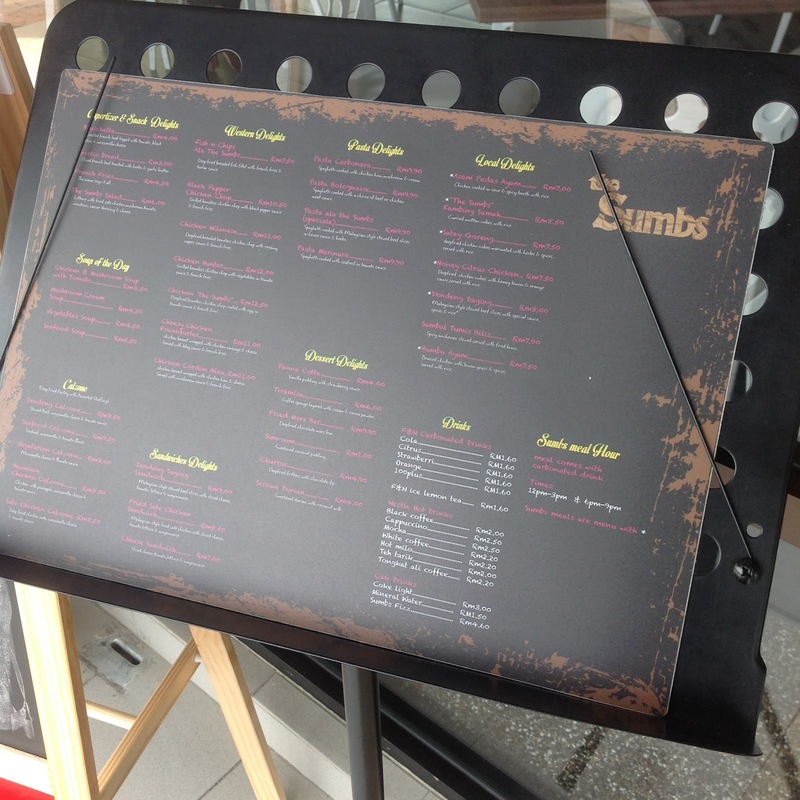 but since we're at The Sumbs Cafe already... let's lunch! 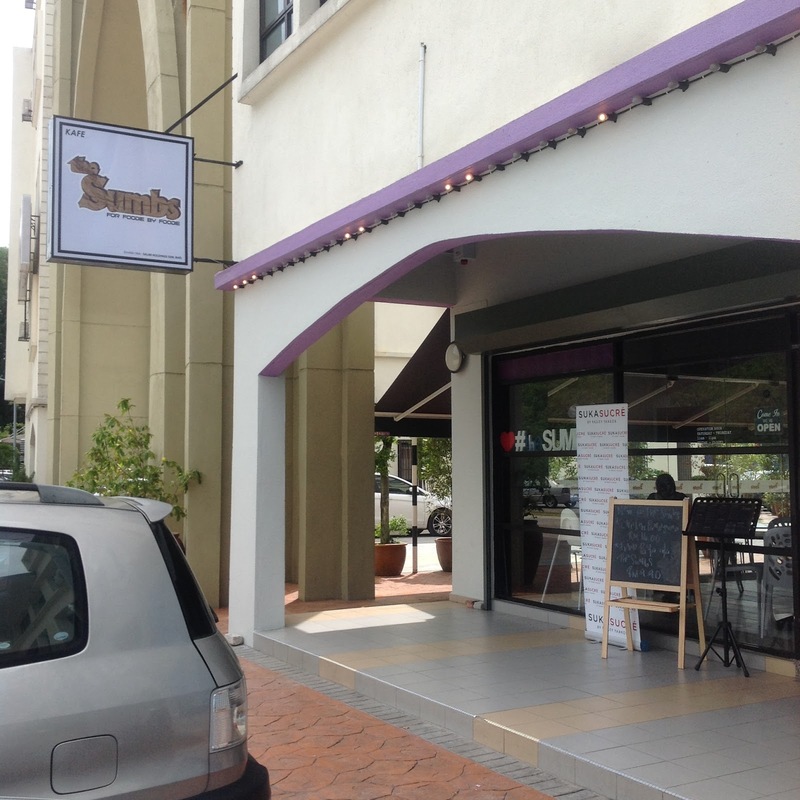 The Sumbs Cafe is located at the Pusat Perniagaan Worldwide Seksyen 13. The main landmark is Tesco and the Good Hope Hotel, Shah Alam. 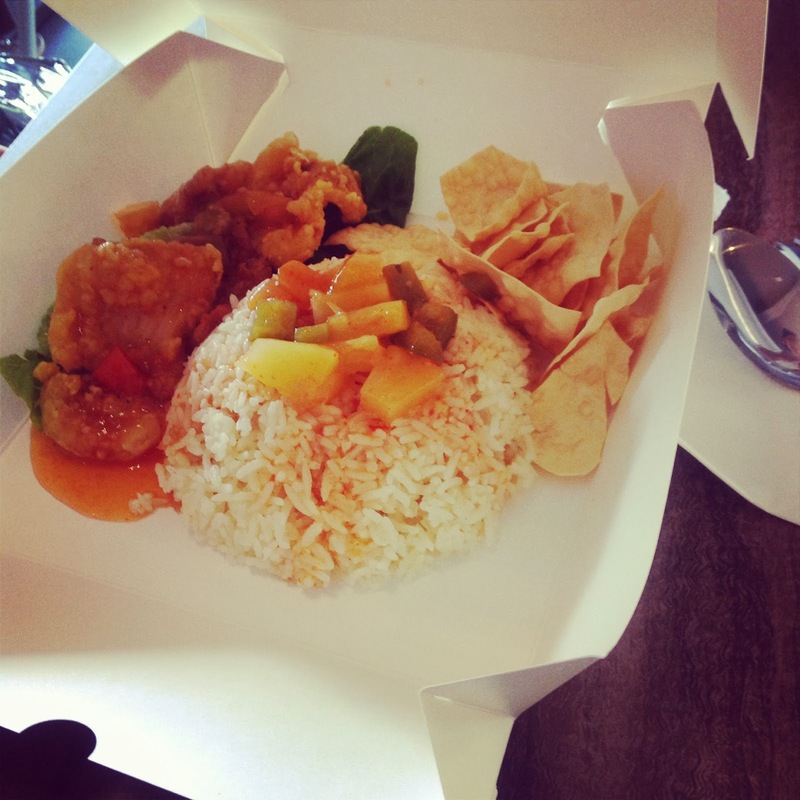 With the tagline 'By Foodie For Foodie', one can expect both Asian and Western food at The Sumbs Cafe. My personal fave: the pastas and Chicken Chop range. 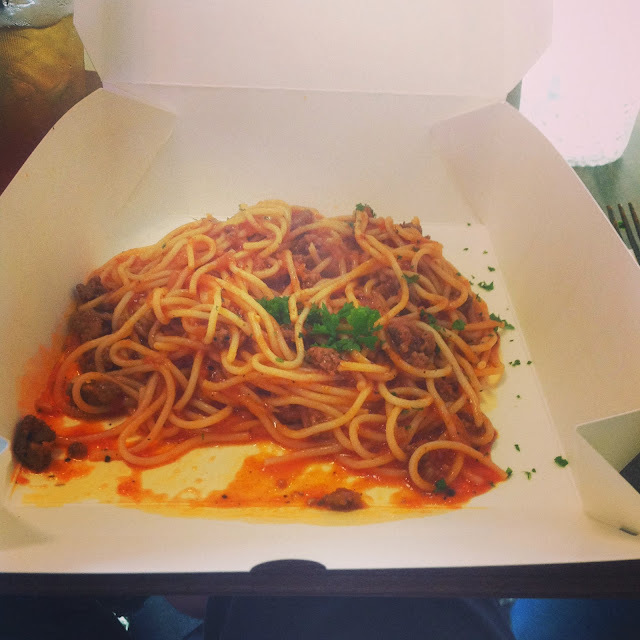 I had the Beef Spaghetti Bolognese (RM9.90). To be honest, I liked it. The portion is not too big or small. The sauce is just nice. And I love the presentation: food served in a box. But then again, I wonder what the environmental activist might think of this concept. A cozy place around Shah Alam. Food is great. Not too pricey. I would certainly return again and try their Chicken Chop.